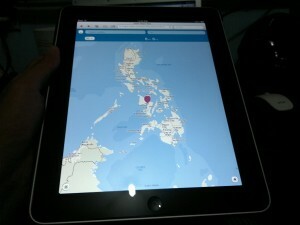 Remember when we demoed the Nokia Maps on my iPad last time? It’s the free maps with places and routing features and is now even better. Nokia just updated their Nokia Maps both in web and mobile. Beta Labs guys are happy to announce another updated Nokia Maps with new features and improvements. The version 3.08(12) brings weather forecast in your own mapping system and new installation UI. The update also brings improvements on the live traffic routing on your Drive screen as well as on the search results. One crash issue has been resolved in this update. 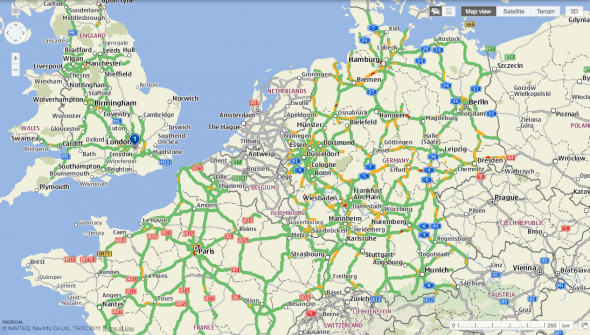 Nokia announces the mobile web version of Ovi Maps based on html5. This brings the free Ovi Maps with lifetime support navigation and positioning system to your Android and Apple devices through your web browser. Features like searching the nearest routes for driving or walking destinations, points of interests, finding establishments and other basic features are available and fully optimized on web style. Nokia Maps or Ovi Maps received a big update recently. The update focuses much on the drive navigation feature of the app where drivers now could have a live traffic updates right from their Ovi Maps.